With a view to enriching the already diverse culinary heart in the city centre of Zwolle, a high-quality tastemaker has emerged in the form of the Argentinian Steak & Grill: Vaca Negra. Vaca Negra means Black Beef and is a Spanish reference to the type of meat we mainly use. At Vaca Negra we strive to deliver quality. Starting with the livestock that we source, which is then refined by us in a unique way in our kitchen. The meat is exclusively sourced from Black Hereford or Black Angus beef cattle and is 100% pure and natural. Due to the fact that they roam freely for 24-30 months on haciendas that are the same size as the province of Utrecht. They are not refed, but they feed themselves. As a result, the meat naturally has a healthy level of fats, which makes it taste even better. At Vaca Negra, we work exclusively with fresh products and according to authentic recipes. 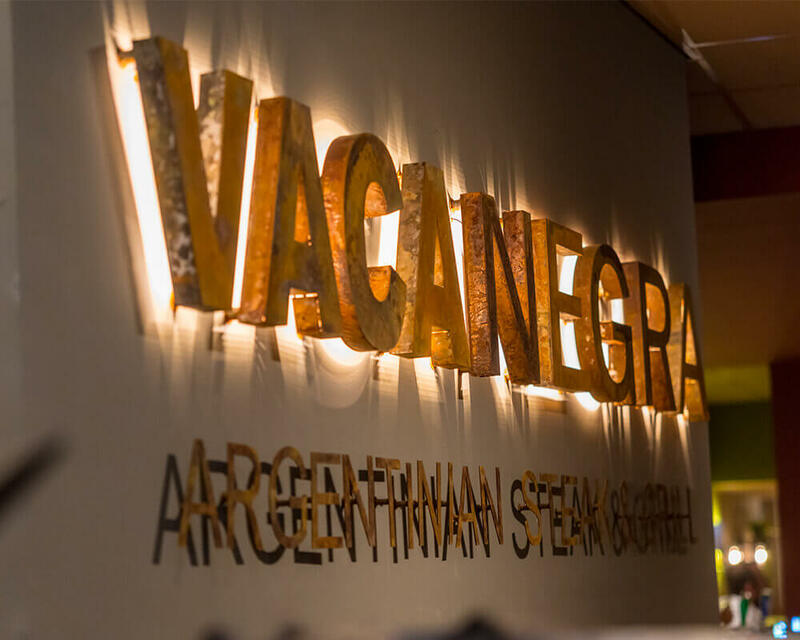 Together with a passionate and driven team of hosts and professional chefs, Vaca Negra offers a day out that is all about savouring unique, tasty Argentinian cuisine.